Aromatic Coffee HTPLA is the specialty blend based on the heat treatable HTPLA. 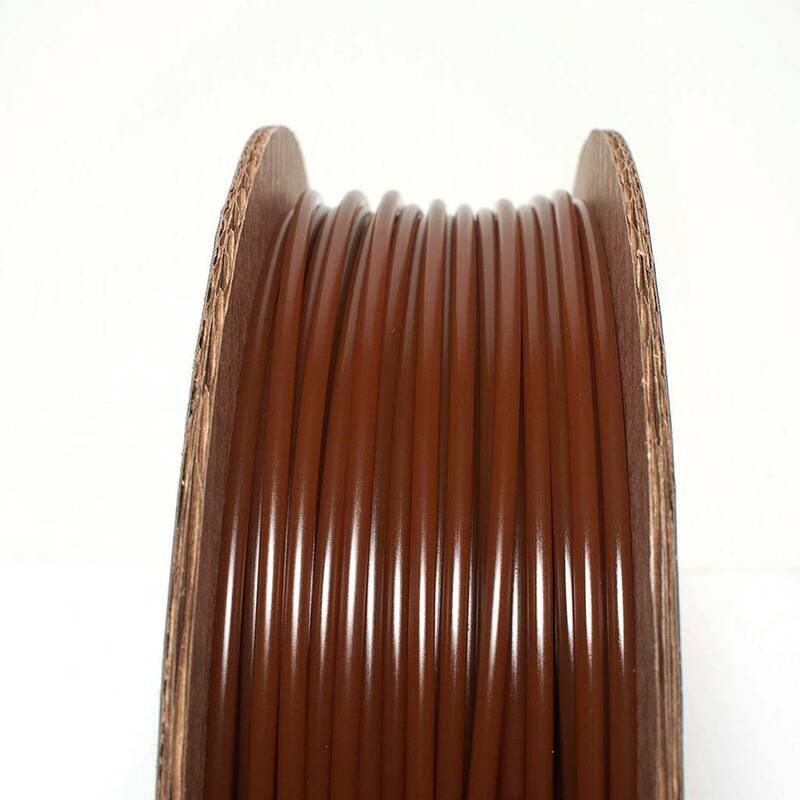 This filament can be "heat treated" post-print for higher temperature performance than PLA, ABS, and Polyesters like PET! Objects will get scent of roasted coffee. 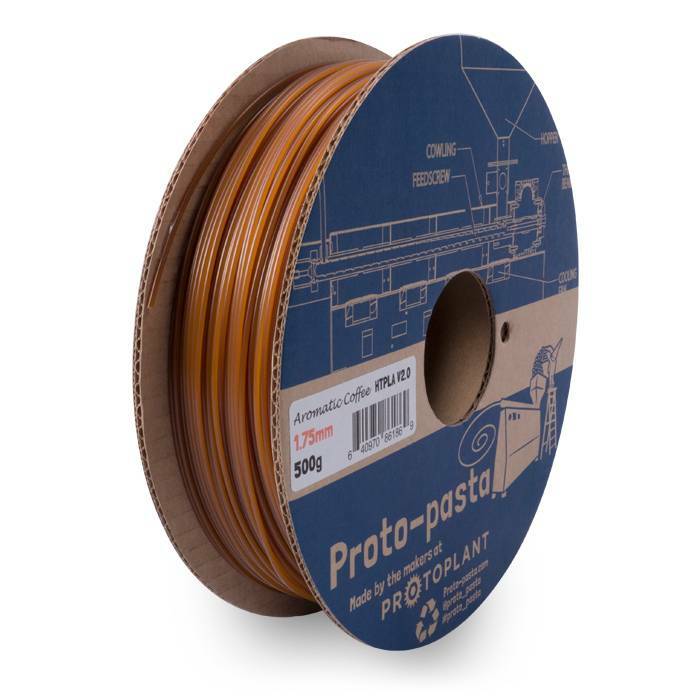 HTPLA filament in bronze color. Good results were achieved using standard PLA parameters with standard build surface preparation (blue tape, glue stick, or BuildTak). No heated bed required. How to do "Heat Treatment"
Bake your parts into a oven until you see a change from translucent to opaque. There is an obvious visual change indicating the improved performance! Good results were achieved in a lab oven at 110 °C for an hour or less. We recommend leaving the supports on your parts, placing them on a non-radiating surface (like glass, ceramic, or composite), and letting them cool in the oven to minimize distortion. 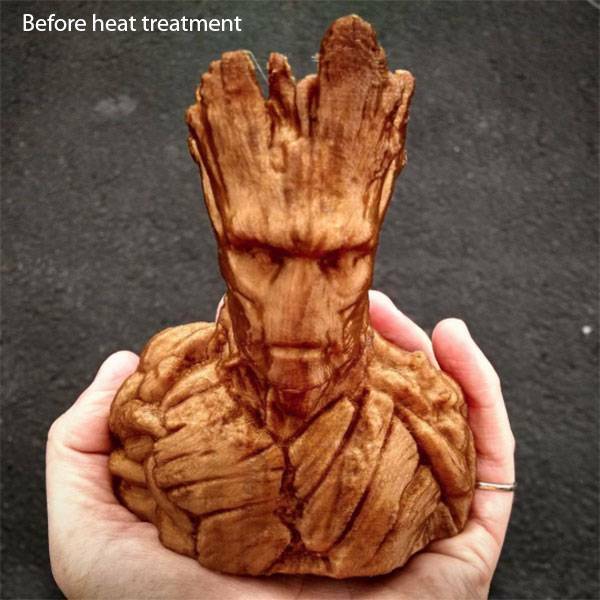 Parts can be baked at a lower temperature (though must be above 60 °C for any change to occur) for a longer time with less risk of unwanted deformation. When you anneal a material like PLA materials it means that the plastic will continue to harden when exposed to low but consistent heat. 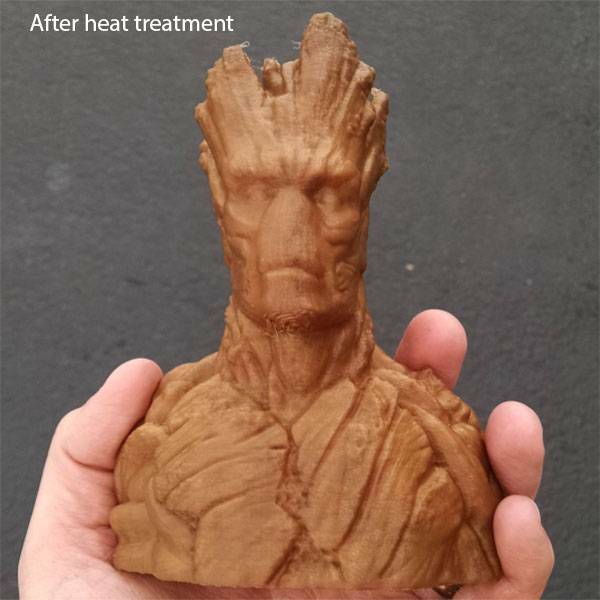 Annealing will cause any 3d printed objects to temper, making it significantly less brittle and extremely tough. If done correctly, annealed parts will be resistant to warping, and maintain its original shape and structure. However it may slightly shrink, so any critically-sized prints may be scaled up slightly by about 2 to 2.5% to make sure it will still fit any adjoining parts.